Publisher Synopsis: Debutante cotillions. Million-dollar homes. Summers in Martha’s Vineyard. Membership in the Links, Jack & Jill, Deltas, Boule, and AKAs. An obsession with the right schools, families, social clubs, and skin complexion. This is the world of the black upper class and the focus of the first book written about the black elite by a member of this hard-to-penetrate group. Author and TV commentator Lawrence Otis Graham, one of the nation’s most prominent spokesmen on race and class, spent six years interviewing the wealthiest black families in America. He includes historical photos of a people that made their first millions in the 1870s. Graham tells who’s in and who’s not in the group today with separate chapters on the elite in New York, Los Angeles, Washington, Chicago, Detroit, Memphis, Atlanta, Philadelphia, Nashville, and New Orleans. A new Introduction explains the controversy that the book elicited from both the black and white communities. 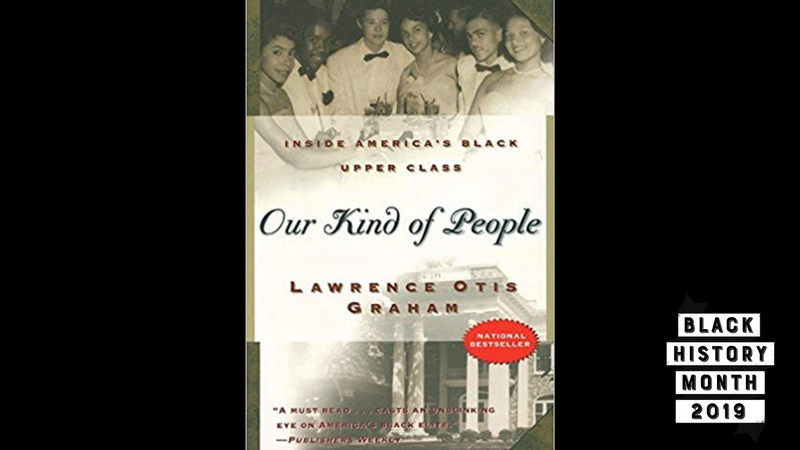 It was also in college (Morehouse College), sitting in front of Hugh M. Gloster Hall, our administrative building, on a bench right in front of the famous statue of Dr. Martin Luther King, Jr, that I remember reading Our Kind of People by Lawrence Otis Graham. If seeing 19 year old college students driving Hummers informed me I wasn’t rich, this book informed me I didn’t even know what rich and well-to-do were. This book taught me about Jack & Jill, The Boule, Links, Martha’s Vineyard, etc. In essence, I discovered that there was an entire world of Black opulence out there I wasn’t even remotely aware of. Not that I didn’t think that Black folks could have money, I just didnt get the society aspect of it. My parents both went to HBCUs (my father was retired military so he graduated from Alabama A&M University around the time I graduated from college) and my mother went to Albany State University in Georgia. Neither were part of Greek letter organizations or any other organizations of note. They were and are hard-working middle class Southerners. But that book and going to Morehouse changed a lot for me. It showed me what Black folks with money looked like. I’m including Our Kind of People not because I think it was a great book or some masterpiece of black literature, but because of all of the books that I’ve read in my life, it was easily the most eye-opening. While I saw black opulence in college, and in Atlanta, in general, I just didn’t get that there was an entire other world black folks with money lived in. There were entire organizations for black people I’d never heard of until reading this book. There were people I knew personally, who I’d hung out with in college, whose families were mentioned in the book. It made me look at blackness in an oddly different way because it made me realize that an entire segment of black society (some, not all - in this case, I think it’s an important distinction) was very interested in maintaining that exclusivity. Additionally, since graduating from college and gaining some of the bonafides of what one would consider the black upper class, though I don’t feel that way at all, I’ve been able to see more of the things mentioned in the book firsthand. I took my first trip to Martha’s Vineyard last summer and I was glad to see that the expectations I had, largely because of this book, didn’t manifest themselves. I often wondered what “black bougie society” felt about the publishing of this book. On the one hand, it’s fascinating, compelling and even prideful to learn about black people with money and how they gained it. At the same time, I can see some folks feeling a little embarrassed at the presentation because lawd, the condescension was on a hundred, thousand, trillion. Similarly, I wonder if some of the families would rather, ya know, keep their society for themselves without a roadmap for others to read and use. Either way, as I said, it’s been one of the most impactful books I’ve read in my entire life because of what I was exposed to. I also think the title couldn’t be more appropriate for a book.